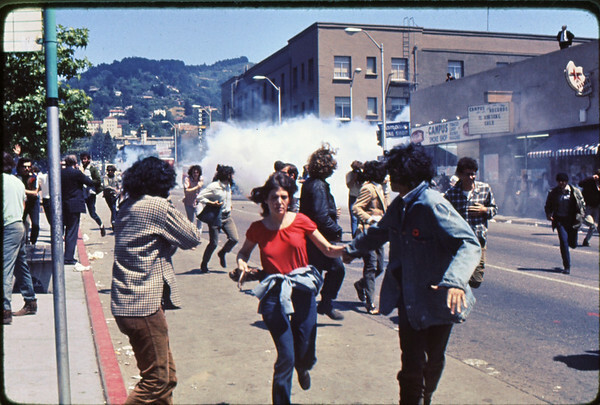 Subject: running from tear gas explosion*Place: Bancroft/Telegraph, Berkeley Comments: The 1st tear gas of People's Park protest (ppp). Police coming up Telegraph to campus - on right. Observers on roof. I was photographed here and am in the 1969 Book on PP.11 of my photos are in the 2009 book on PP.